On behalf of the Japanese Pediatric Orthopaedic Association, I would like to express my gratitude to members of the British Society of Children Orthopaedic Surgery for giving me the opportunity to speak at this annual meeting in Liverpool. The International Committee of Japanese Pediatric Orthopaedic Association, or JPOA, had elected me as Iwamoto-Fujii Ambassador, a fellowship newly established last year in order to promote globalization of the JPOA. Professor Yukihide Iwamoto is a president of Japanese Orthopaedic Association, and Professor Toshio Fujii is an honorary chairman of JPOA. Again, the purpose of this fellowship is to enhance mutual understanding among developed countries with advanced orthopaedic technologies through international exchanges. As the first Iwamoto-Fujii Ambassador, I have chosen the UK for my first visit. Through Professor Nick Clarke, Mr Aresh Hashemi-Nejad, Mr Colin Bruce, and other kind doctors, who I apologise for not naming today, I was able to visit many leading children’s hospitals in the UK and attend the BSCOS meeting in Liverpool. The even more delightful thing is that all doctors I have met in the UK are all kind and friendly. Further, considering the UK’s long history in orthpapedic surgery, I feel confident that I’ll gain many experiences on interesting research and clinical procedures. 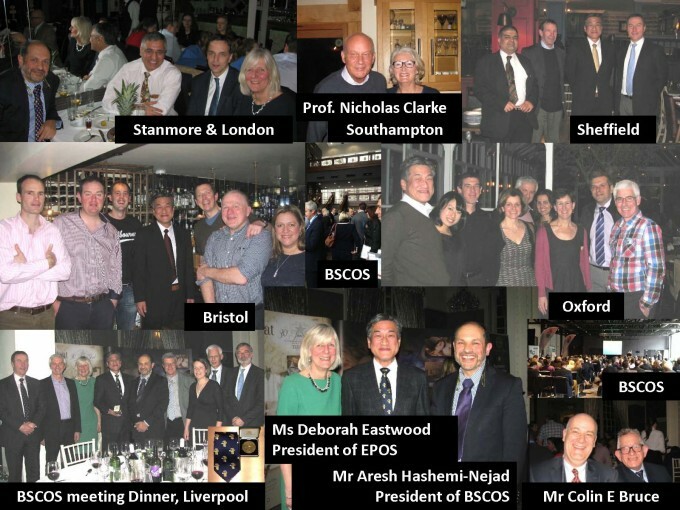 Of course, there are some differences in culture and history in the region of pediatric orthopaedics, but, during my visit to the UK, I have been able to find more similarities than differences in this area. I believe we can learn to appreciate cultural differences and we can cross the cultural boundaries between two countries. I hope we would encourage the exchange of children’s orthopaedic surgeons between the UK and Japan for the next generation. I hope that we have a long association between our two countries.